All the years of Persono's experience are reflected in the wisdom of the materials choice, the cutting precision, the quality of the raw materials and a never-ending pursuit of perfection. 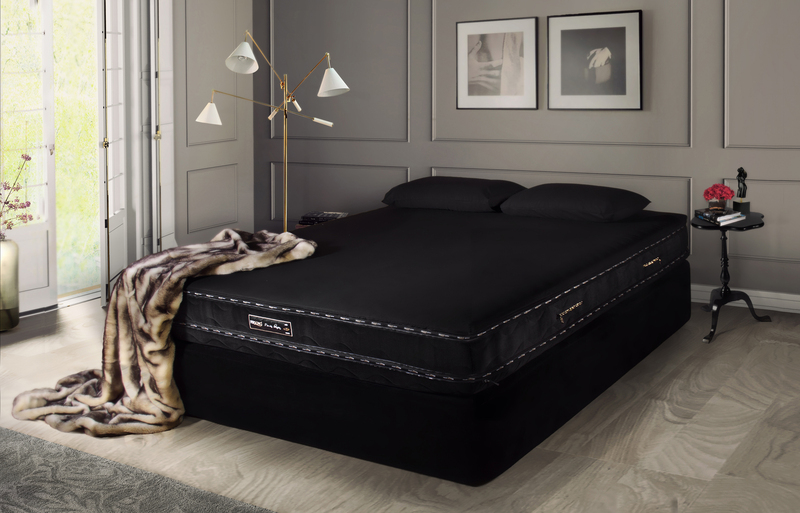 If beauty is one of Persono Glamour Concept greatest strengths, try adding a mattress base designed exclusively for this concept, fully lined velvet, where the contrast between materials gains new life with unlike combinations, like velvet, satin and crystals. If you want to improve your nighttime comfort and further increase the quality of your rest, you can choose to add a topper to your mattress. 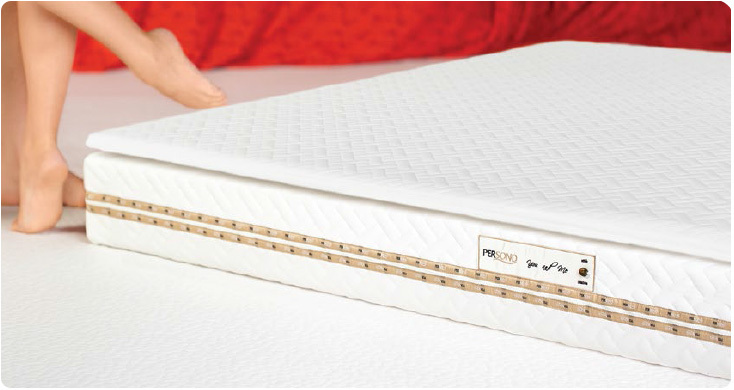 You can choose a latex, memory foam or memory foam gel fresh core and your favorite cover fabric. Persono knows the importance of the pillow you sleep with, and therefore offers classic or anatomical shaped, withseveral sizes, so that you can choose the one that best suits your needs. All models are fitted with a protective inner cover and are lined with mesh with Sanitized hypoallergenic treatment. 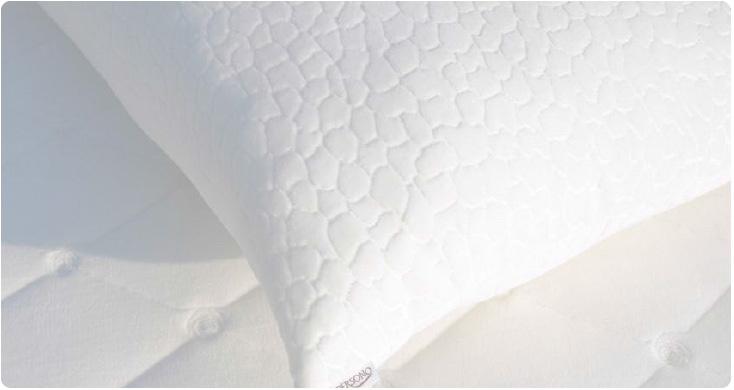 Persono pillows are available in memory foam, latex or hollow fiber.